Allow visitors and users to create their own page on website by having a registration or sign-up form. Through PHP registration form templates you can enable visitors to download files, post articles and more, by creating their own profile. Feel free to download the sample PHP website templates in HTML and add or edit field according to your website purpose. A registration form can be simple, short one wherein visitors just need to put in their e-mail id and name. A registration form can be simple, short one wherein visitors just need to put in their e-mail id and name. 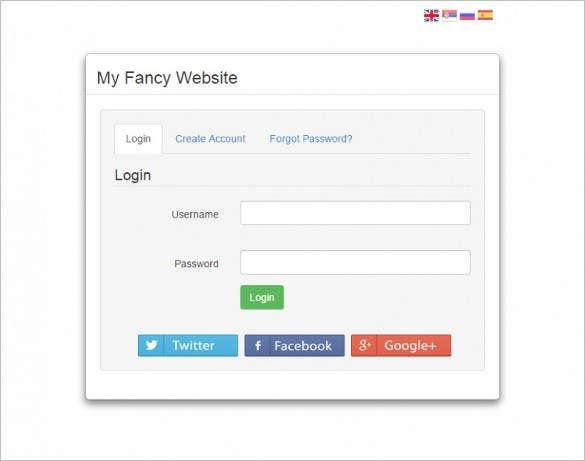 Deck up your PHP login form templates with equally wonderful range of Admin Panel PHP templates. 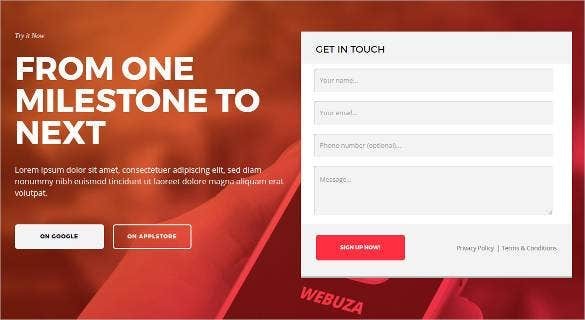 Check boxes, radio buttons, drop down boxes and text boxes are available in form templates. Auto complete feature, different form types (vertical, horizontal, columned) and different states (normal, success, error, disabled) are other features available. 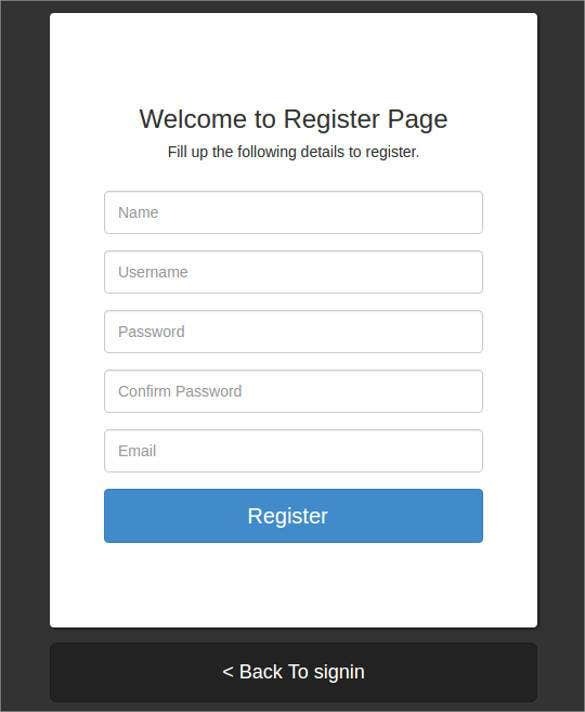 Registration form template PHP MySQL come with responsive design to fit any browser or screen resolution. This HTML5 or CSS3 form has a section for personal info, address and message. It has text boxes, drop-downs, check boxes and can fit all kinds of resolution and browser. This template is a pack of 8, that are completely customizable. This responsive design is created to fit all screen resolutions and work equally well with all browsers. 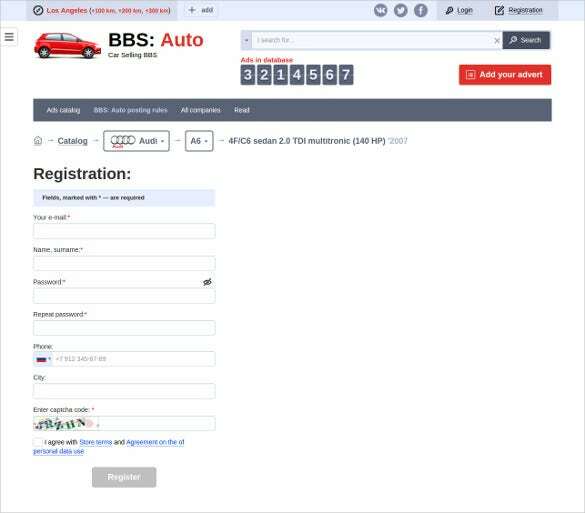 It is the Registration form template for the selling of the cars online. It contains all the necessary details that is to be filled by the customer. This is used for enrolment of the customer. The form must contain the information about the type of the vehicle they are interested to buy. 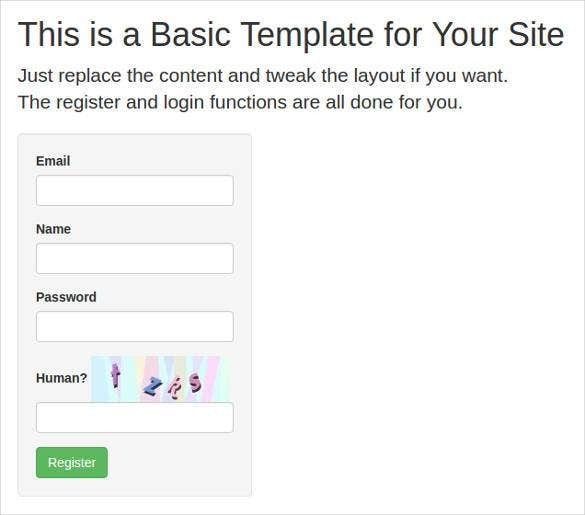 This template has two separate fields for login and registration. The fields in registration requires email, password, username and re-entry of password while the log-in one requires email and password. This template comes with three different layouts (boxed, full slider and full video). 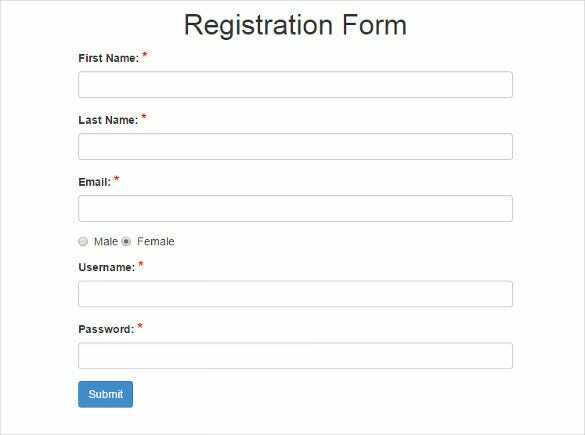 This registration form template takes into account contact no., the name and mail id. How to Validate Registration Form in PHP? PHP is a general purpose scripting language and is mostly used for web development. The registration form is a very important data and hence it needs to be validated. Validating the data means creating extra security for the data which is provided by the user. So here are the steps on how to validate the registration forms in PHP. There are many examples available online. The first step is to create a form in the html. The POST method should be used along with some other fields required. Then refresh the page, the PHP fetches the URL of the html file and functions it. Validation is a very important aspect. 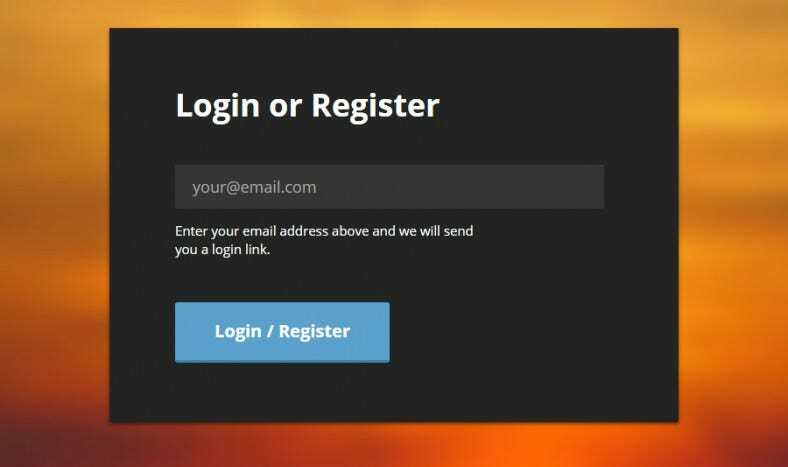 How to Create Signup/Registration page in PHP? Many websites have a registration form for the customers to log in or sign up. With the help of registration, a company gets to know about the information about the customers. 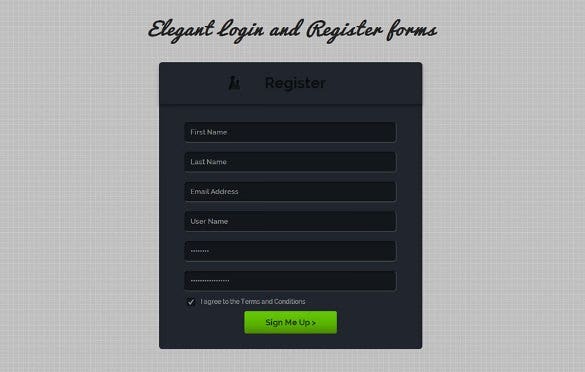 Dreamweaver Login template is a simple and useful tool to create the Signup/Registration page in PHP. Include the necessary fields like name, age, email id, contact address, etc,. As the name says it is free registration form available online. It is built with PHP and My SQL. Usually the combination of these two frameworks is used for creating simple forms. The best PHP user registration form is the one which contains all the essential fields of data/information to be collected. 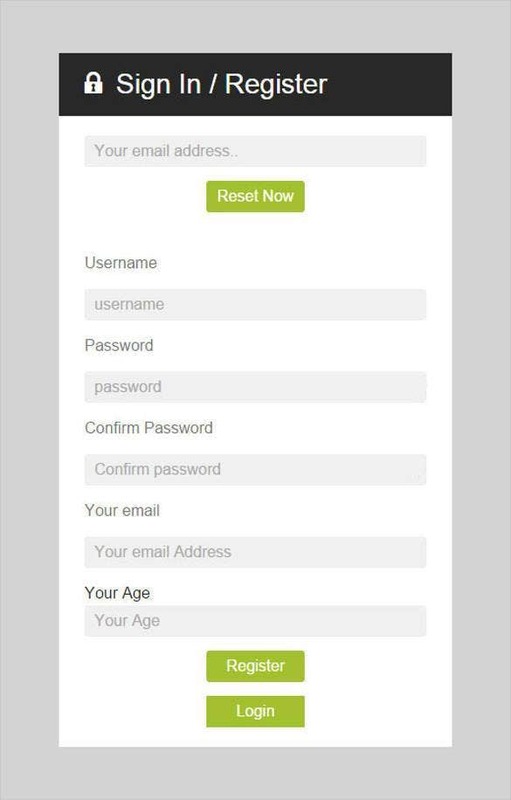 The free download can be used to create simple and best user registration forms. 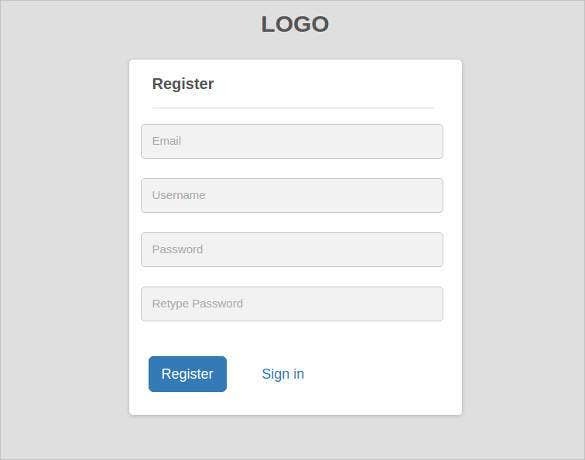 This flat template with UI HTML5 and CSS3 registration template requires the user to fill in fields like first name and last name, email id, username and password for registration. The bootstrap is the front end framework, a PHP login and register form can be created using this. This template contains many designs and options. It is a ready to use login and register template. 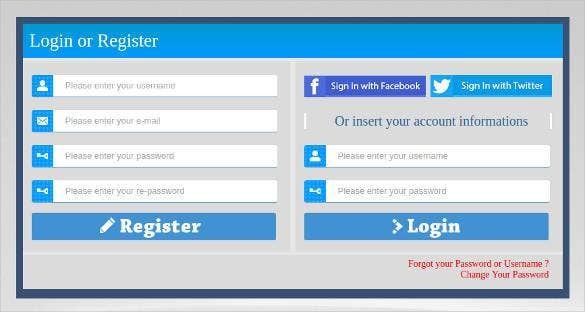 This attractive login and register template has two fields, one for login details and other the registration formalities. It is used for online registration. There are many free Ajax PHP templates available on the internet. It is the PHP registration form which sends the confirmation code to the email address provided by the user. The form contains the email confirmation script written in it. 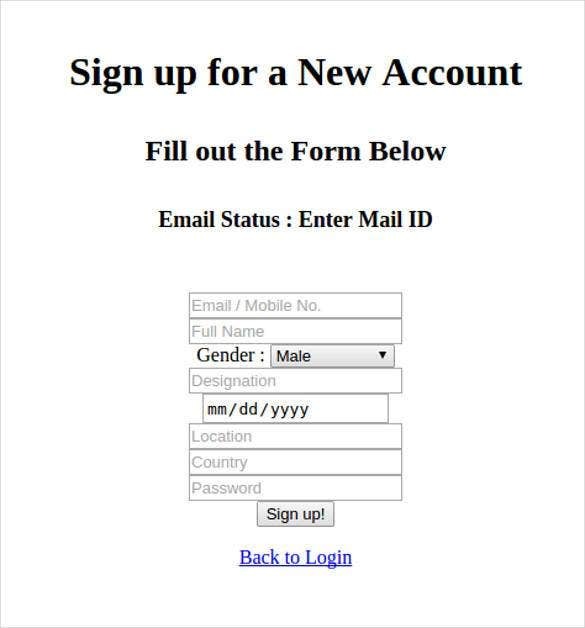 The registration forms are becoming a basic part for every websites. They collect details from everyone who visits their website. Registration forms are of different types like student registration forms, vehicle registration forms, new account registration forms, marketing registration forms and many more. You may also see PHP Blog Themes. 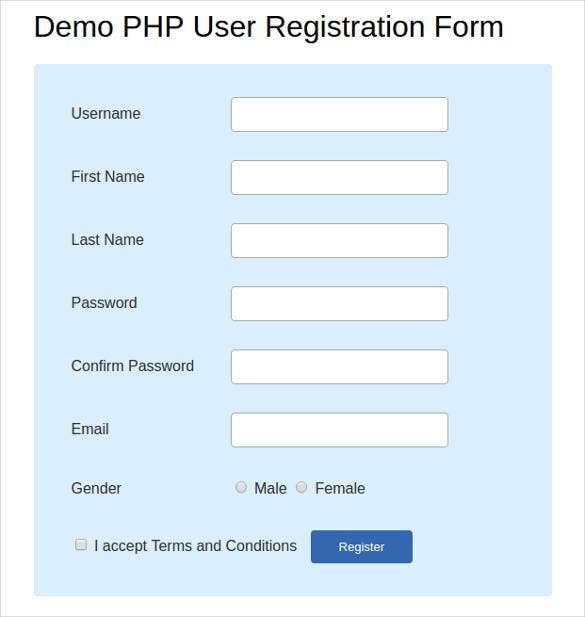 To create a simple registration form the important and powerful tool is the PHP. With the help of PHP one can create enormous types of forms. To add on to that many PHP Templates with beautiful and attractive designs and layouts are available online today. PHP along with HTML, CSS can work best to create a good form. Registration forms are very important and that is why the form must be created with utmost care and detailing. 13+ Best PHP Template Engines to Design your PHP Web Project!